Teaming up with others can get you much further than if you go at it alone. 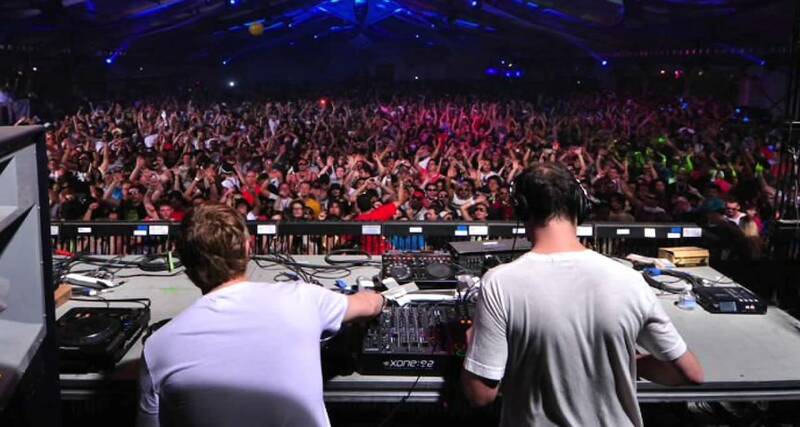 A great example is Sasha and John Digweed, one of the most successful DJ partnerships of all time. 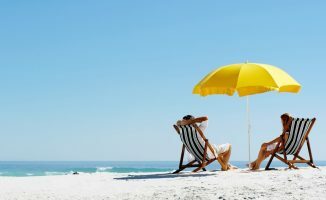 In the last article of our 7 Ways To Get A Gig series, we talked about how if you put some preparation in before you jet off, you can land gigs when you are on holiday. This time, we’ll cover seven different ways (plus one extra bonus!) on how partnering with others can get you gigs. 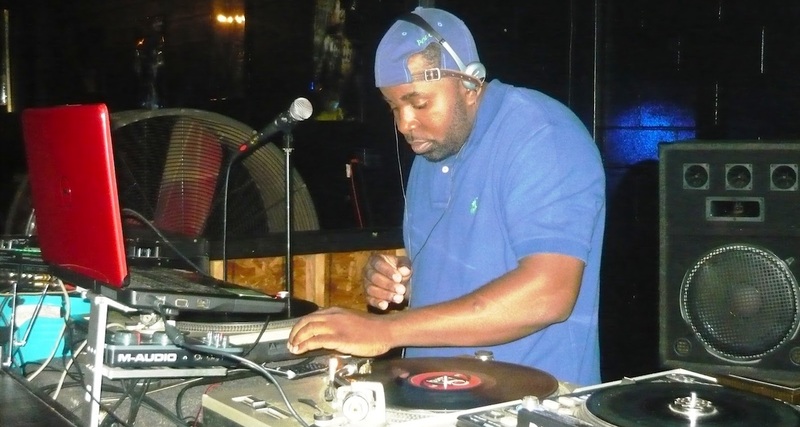 Lots of people start out on their quest to get DJ gigs alone. They might well be the only musically oriented member of their respective friendship groups. Going it alone is fine and does work, but it can make things more difficult, especially if your local DJ circuit is “closed” to outsiders. Being a little bit more creative in your approach can yield a shed load of gigs and teaming up with others is a good way to achieve this. 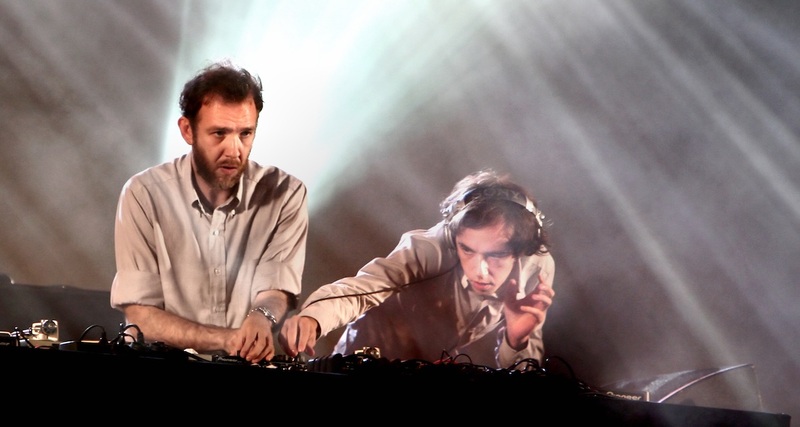 Soulwax / 2manydjs are one of a number of famous B2B performers. Two heads can often be better than one in the booth. Residency swapping is a great way to get more bookings with promoters returning each other the favour. If you combine this with playing back to back (B2B) with other promoter / DJs, you might also be invited to do the same at their events. This can get you a lot of exposure with friends and fans of the other DJs, as they will be guaranteed to be dancing to both of your tracks. When choosing a partner to play with, try to find someone who is the same “level” as you, career and skills-wise: partnership requests sent to Carl Cox may go unanswered, while asking someone who just picked up DJing a week ago isn’t likely to benefit you hugely. Get on it: Get in touch with as many DJ / promoters in your area as possible and float the above ideas. If you don’t know anyone, head out to some local events and make some acquaintances. Let them know of your ideas and ask them if they would be interested in having you play or if they would like to play at your event. This is only going to boost both of your local profiles and you are making more connections in the process. Collectives like Moving Castle pool resources and different skill sets to reach a common goal among members. There are loads of examples of how forming collectives has helped catapult DJs into the limelight. Collectives are medium and large-sized groups of DJs, producers, promoters, and visual artists / designers that all rally under a common musical / aesthetic vision and ethos. Recent examples of this include Moving Castle and Soulection. 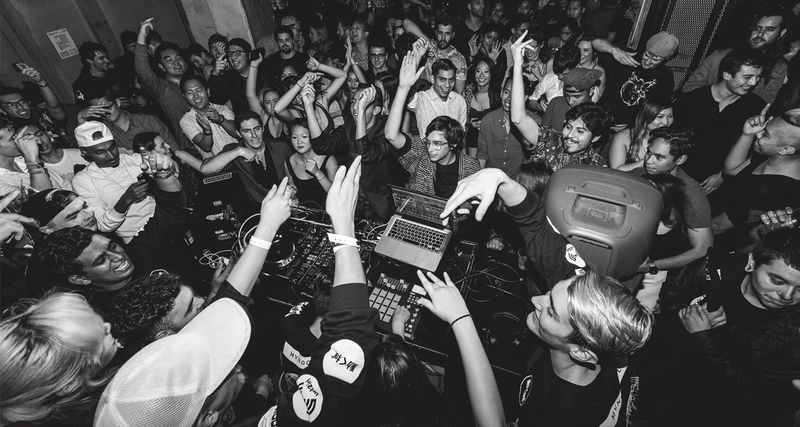 When you have formed your collective, you can offer to take over clubs for a full night, tapping into each other’s networks in order to promote and market the event. It’s an awesome way to pool your resources and different skill sets to help push each other to new heights. When you’ve formed your group and hashed out your vision for what you want to achieve as a collective, start booking those shows and get gigging. Get on it: If you have some DJs that are mates, that’s an ideal starting point. If not, get out, network and find some! It is important that you all share the same artistic direction though. Find DJs with a similar musical style and ethos as yourself. Make sure you thrash out a solid blueprint of what the collective stands for before you hit the clubs. If you work hard and build up a decent following, the gigs will roll in. 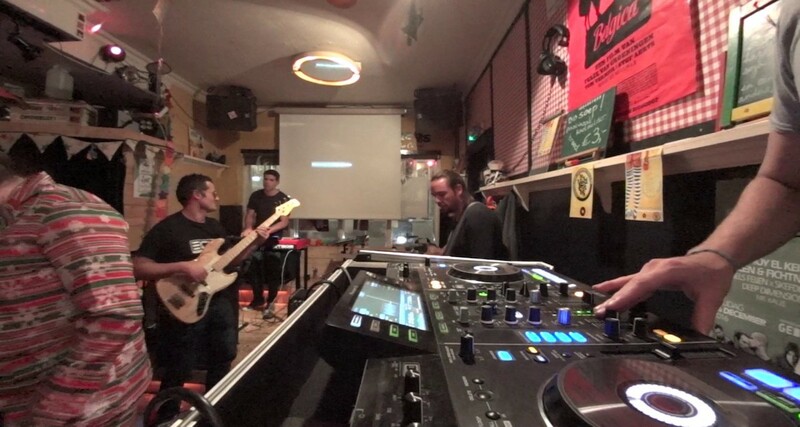 I was once lucky enough to see Laurent Garnier play with a live band. Man With The Red Face with freestyle sax was something else! DJing with a live musician is going to make you stand out from the crowd. By playing a well-rehearsed set with a singer or musician, you can market yourself to a broader range of establishments and events. Examples of this might be teaming up with a vocalist who sings as you mix the instrumental tracks for them, or an MC and showcasing your scratching at a rap battle. There are lots of opportunities to be exploited when it comes to live musical performances, simply because being “that DJ” who performs with musicians instantly differentiates you from other jocks, and it allows you to get gigs at places normally reserved for bands / instrumentalists. It also lets you bag more slots at spots where every other DJ gigs at because, suddenly, you’re different compared to all of them. Think of it as extending your musical reach and presence as a DJ without having to learn a new instrument. Get on it: Put some adverts out, ask your friends and post on social media groups. Simply: “Singer / instrumentalist wanted for live performance with DJ” would do the trick. Be creative, push yourself and you might get yourself booked in places that wouldn’t usually have a DJ. 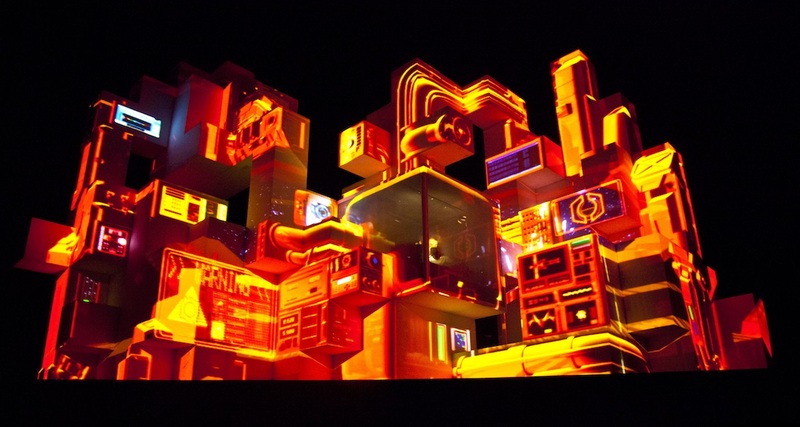 Amin Tobin incorporates the use of new video mapping techniques that are projected onto a large cubic structure from which he performs. 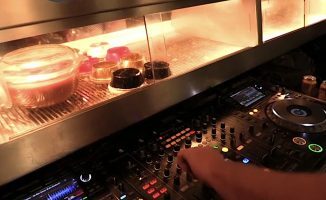 How could DJs maximise the potential of the bar / club space they’re playing at? There are loads of ways that you can spice up an event: One of them is by adding in a light show or by getting a VJ to perform with you. Another is you could DJ while someone performs visual art on the spot, such as a sculpture or painting, or you could even DJ while someone performs a drama or to accompany a silent film – Jeff Mills has done something like this for the 1927 classic movie Metropolis, for instance. Fusing the visual world with DJing turns your gig into a work of art. As with tip number three, this lets you get gigs at venues and spaces such as galleries, theatres, and cinemas, which are normally out of reach for DJs. Get on it: Take advantage of emerging and existing technology. Do some reading and get some ideas. Try to be at the forefront of what is going on in your area, and seek out the guys doing great work in lighting and video. Put forward your idea of teaming up to them and offer to do a show together. If you can put together an event with a proper light show and DJing combined, that has real wow factor. This is another level of show and is certain to impress bar / club owners in your area and resultantly, more gigs will follow. Wedding planners and marquee hire companies will often make recommendations for DJs to their clients. Get on their list! 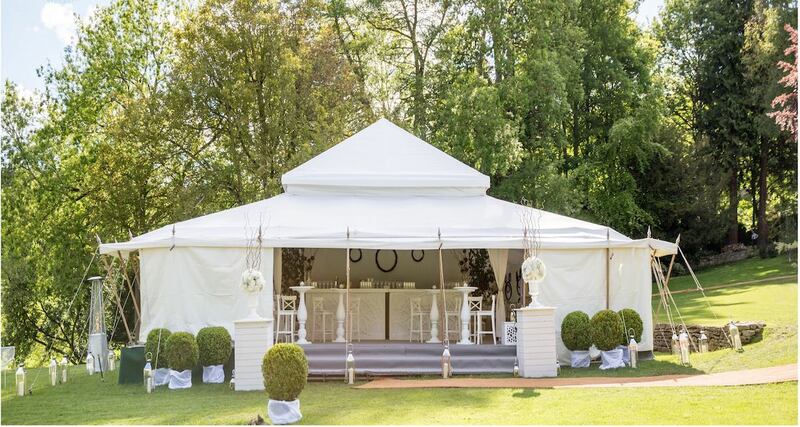 People coming to wedding planners and marquee hire companies, for example, often ask them for DJ recommendations because they have no idea where to look themselves. These types of companies have a shed load of clients on a weekly, if not daily basis. If you are known to them (and they like working with you), then a ready stream of gig referrals await. Get on it: Again, do some research locally and find out who the movers and shakers are in these kind of industries. Exchange contacts with them and even blag a bit if you have to. Tell them you are setting up events and their services tie in nicely with your ideas. A bit of “you scratch my back and I scratch yours” always goes down a treat in these types of negotiations. If you make yourself their go-to DJ then you are set. Pick a brand you really love and get in touch with them and tell them. You could end up being their corporate events DJ. Brands are all about authenticity, and nowadays being a genuine fan of something can take you a long way. One of our forum moderators, Terry_42 bought a car from an automobile brand that he loved. Representatives from the brand saw one of his photos with the car he had bought (there were custom “Terry_42” DJ stickers on the car, very cool) and reached out to him. They had a back and forth, which ended in the brand inviting him to play some local corporate events for them and, in the end, he was flown out to perform at their huge global marketing event. 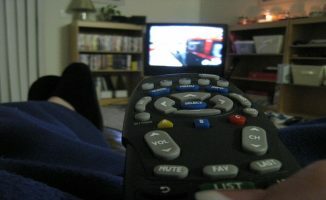 Get on it: Are you really into a certain company and its products? Of course you are, we all are. If you have real passion, get the brand’s attention through social media posts as in Terry_42’s case, as well as face-to-face interaction. 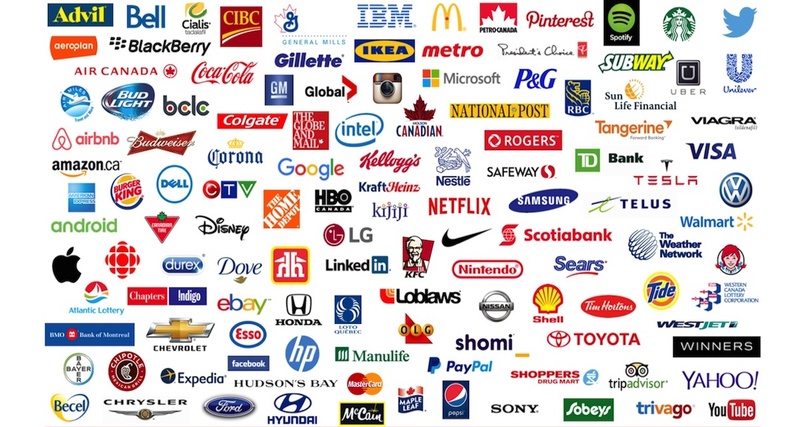 You will be pretty much a dream employee for them – how many people that work for these respective companies have true passion for the product? Use this to your advantage, follow Terry_42’s example above and see where it might take you! Even more so, if there’s a brand you love and are already connected with, tell them you’re a DJ, tell them you’ll help to promote their products and play at their events. This kind of effort will soon see you rise to the top of the pack. Set up a crowdfunding campaign to bring your favourite DJ to your hometown – book yourself to warm up for him or her, of course! This is a fantastic, relatively untapped way of putting on quality events in your local area. 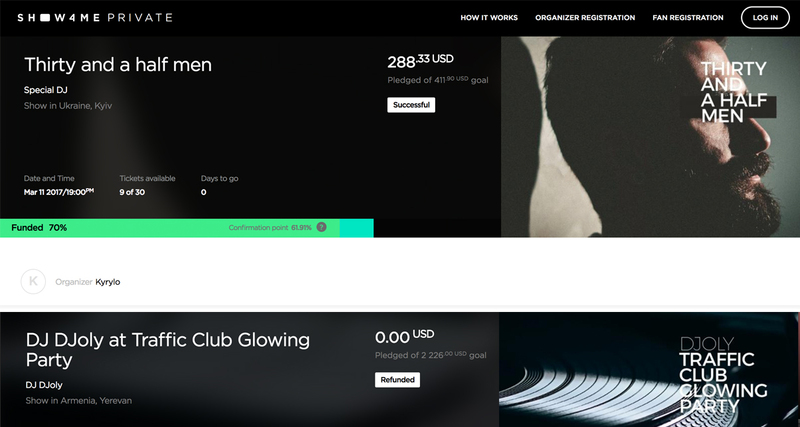 Crowdfund a DJ that you and your friends want to hear, and book yourself as the warm up DJ. You get a gig, your friends (and their friends) get a party, and you get to meet your hero too! You’ve got the added bonus of associating your DJ brand with whoever you end up booking, which in turn raises your DJ profile and cache of cool. You are also minimising the risk of losing money, which is something that most people worry about before putting on their first gig. Get on it: This isn’t as hard as it looks – crowdfunding sites like Show4Me, Indiegogo, and Kickstarter are good places to check out. BONUS: Why not partner with yourself? If you can, why not try spinning and MCing at the same time? It would certainly make you stand out from the crowd, without having to find somebody else to partner with. You should always try to add something to your set that isn’t just DJing to differentiate yourself, add to your DJing, and raise you above the competition. The more unique you are, the less competition there is. Our founder Phil Morse once played a gig with Andy Cato of Groove Armada fame. While playing, Andy took off to the crowd with his mic’ed trombone playing through into the sound system. That is different and is a promoter’s dream, so make yourself more bookable by setting yourself away from the vanilla sets that the majority are playing. Get on it: Be as creative as possible. Do what others aren’t doing. Have an idea? Try it! You only know if something works or not by trying it – you don’t make 100% of the shots you don’t take. This is the end of our 7 Ways To Get A Gig series. Including the tips above, we’ve given you a total of 50 ways to add more DJ gigs to your calendar. If you want to be successful, you will have to put in a lot of work. There is no “Lazy Guide To Getting DJ Gigs”. Remember, you are not alone in your quest and you have to make sure that you stand out from the crowd (eg other DJs, your competition). Finding your own niche is a certain way of differentiating yourself, and one way to do that is to team up with others. I dig it. If anyone in the Orange County, CA area wants to link up, hit me up.